In the closing months of World War II, Americans found themselves facing a new and terrifying weapon: kamikazes -- the first men to use airplanes as suicide weapons. By the beginning of 1945, American pilots were shooting down Japanese planes more than ten to one. The Japanese had so few metals left that the military had begun using wooden coins and clay pots for hand grenades. For the first time in 800 years, Japan faced imminent invasion. As Germany faltered, the combined strength of every warring nation gathered at Japan's door. Desperate, Japan turned to its most idealistic young men -- the best and brightest college students -- and demanded of them the greatest sacrifice. On the morning of May 11, 1945, days after the Nazi surrender, the USS Bunker Hill -- a magnificent vessel that held thousands of crewmen and the most sophisticated naval technology available -- was holding at the Pacific Theater, 70 miles off the coast of Okinawa. At precisely 9:58 a.m., Kiyoshi Ogawa radioed in to his base at Kanoya, 350 miles from the Bunker Hill, "I found the enemy vessels." After eighteen months of training, Kiyoshi tucked a comrade's poem into his breast pocket and flew his Zero five hours across the Pacific. Now the young Japanese pilot had located his target and was on the verge of fulfilling his destiny. At 10:02.30 a.m., as he hovered above the Bunker Hill, hidden in a mass of clouds, Kiyoshi spoke his last words: "Now, I am nose-diving into the ship." The attack killed 393 Americans and was the worst suicide attack against America until September 11. 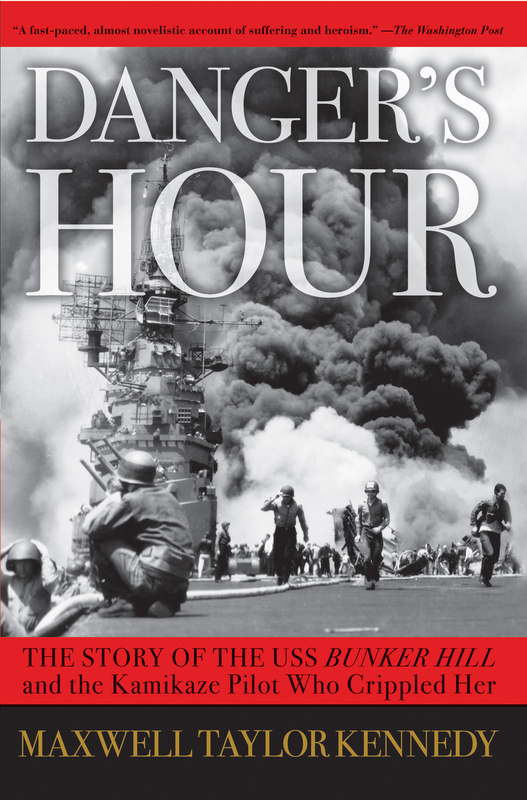 Juxtaposing Kiyoshi's story with the stories of untold heroism of the men aboard the Bunker Hill, Maxwell Taylor Kennedy details how American sailors and airmen worked together, risking their own lives to save their fellows and ultimately triumphing in their efforts to save their ship. Drawing on years of research and firsthand interviews with both American and Japanese survivors, Maxwell Taylor Kennedy draws a gripping portrait of men bravely serving their countries in war and the advent of a terrifying new weapon, suicide bombing, that nearly halted the most powerful nation in the world.